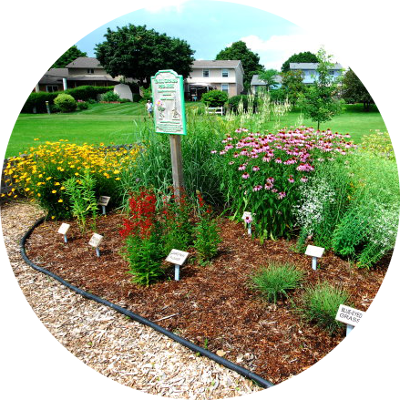 Past President, Larry Cornelis, will guide us on how to create a naturalized garden that will raise the ecological values of our home landscapes. Learn about the best species of plants to attract, benefit and support wildlife. Even native species aren’t all equal in their abilities to support nature. Join us for a spring walk in the woods this Saturday at 10 a.m. Don't let a little rain stop you from enjoying this interesting property. Hiking boots or suitable footwear suggested. You will be amazed at the diversity of trees and spring flowers. Everybody is welcome. Meet at 10 am southeast of Moraviantown on Selton Line, between Duart and Little John. The property we are touring is just east of Little John on the south side of Selton Ln. Rick Wilkins is opening his 40 acres property for a tour of this managed forest. Using good forestry practice, Rick has increased the woodlot diversity to over forty tree species and a vast array of Carolinian wildflowers. Check out the influence you can have on our natural world with SFN in our map below. Check out our Making a Difference page for more of the story for each of these sites. Consider donating to SFN. Donations help to fuel our work!